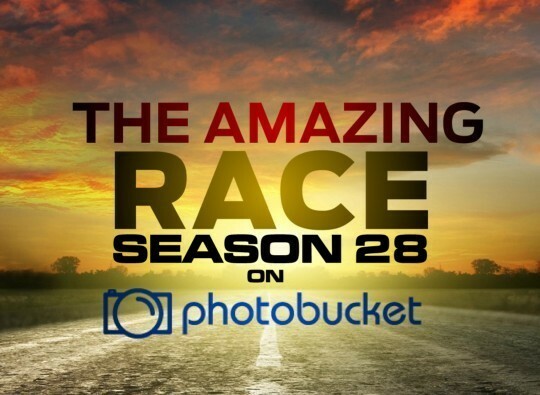 Recap: The Amazing Race 28, Episode 4 – "We're all All-Stars here." After we are told Brodie and Blair have a brewing showmance, the teams are told they’re flying to Geneva, Switzerland. All teams will be on the same flight. And while waiting at the airport for their flight to Bogota, Brodie and Blair buy Coke while everyone else takes photos with fans. Arriving in Geneva after dark, teams must make their way to the Jet d’Eau (hello TAR3!). That clue tells teams to make their way on foot to Chocolats Rohr. Everyone runs and finds numbers which will be the order that they will be let in at 10am tomorrow. 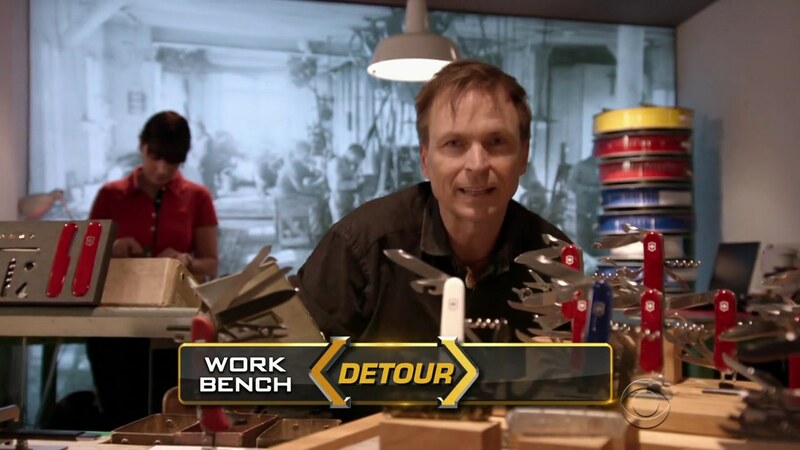 …before the Race continues in the morning with the Detour: Work Bench or Bench Work. 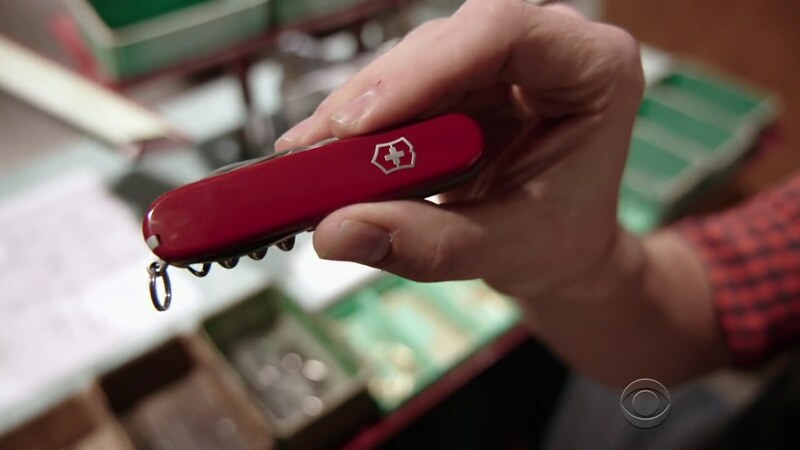 In Work Bench, teams will assemble a Swiss Army Knife at the Victorinox Flagship Store. There are only three stations available. 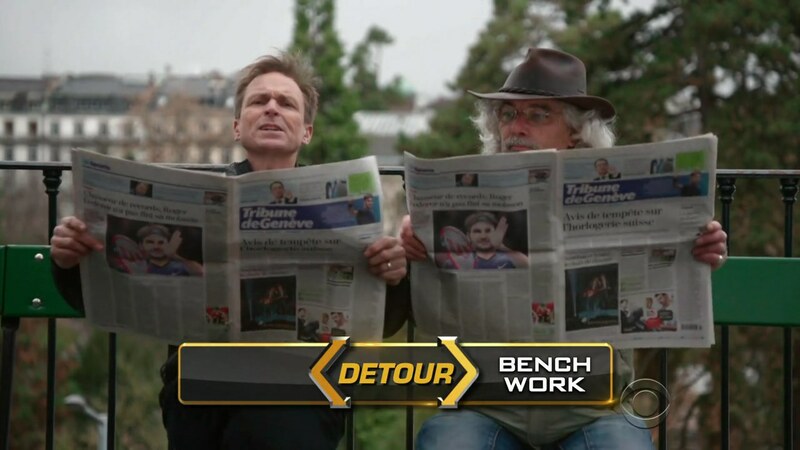 In Bench Work, teams must figure out how many butts can fit on a 240 year old bench at Promenade de la Treille, the longest wooden bench in the world, within a range and using a newspaper as guide. Burnie & Ashley get started with the bench while Zach & Rachel and Tyler & Korey get started with the knives. Jessica & Brittany want to do the knife, but can’t find Victorinox (which they walk right by). They run into Sheri & Cole and decide to go with them to the bench. That allows Scott & Blair, the last team to get their clue at the chocolate shop, get the last table at the store. As everyone else arrives at the park bench, Sheri & Cole and Jessica & Brittany end up lost. Burnie & Ashley count 217 butts, but the range is 190-197. They talk to Dana & Matt and Brodie & Kurt who are right next to each other and both have different numbers already. Dana & Matt try 203 and Erin & Joslyn get 240, but they’re both wrong. Brodie & Kurt get 190 and are given their next clue. They decide to also give something to the other teams… the answer! Dana & Matt have to sit again, but Burnie & Ashley just immediately give the answer to the newspaper vendor. Brodie & Kurt and Burnie & Ashley decide to stick together on their way to the Broken Chair. Zach & Rachel ask for a check of their knife, but they’re missing a blade. That allows Tyler & Korey to finish the Swiss Army Knife Detour first. They are told to walk to the Broken Chair. Back at the bench, Brittany & Jessica guess 163. Sheri & Cole, also on their first attempt, get 194 and their next clue. They catch up to the other two teams at the bus stop. Dana & Matt finally count 190 and are off. Erin & Joslyn get 197. Zach & Rachel and Scott & Blair catch up to Erin & Joslyn at the 15 train. Brittany & Jessica are now in last, but finally get the clue on their 3rd attempt. Tyler & Korey arrive at the Broken Chair and find the Road Block: Who’s having a banner day? 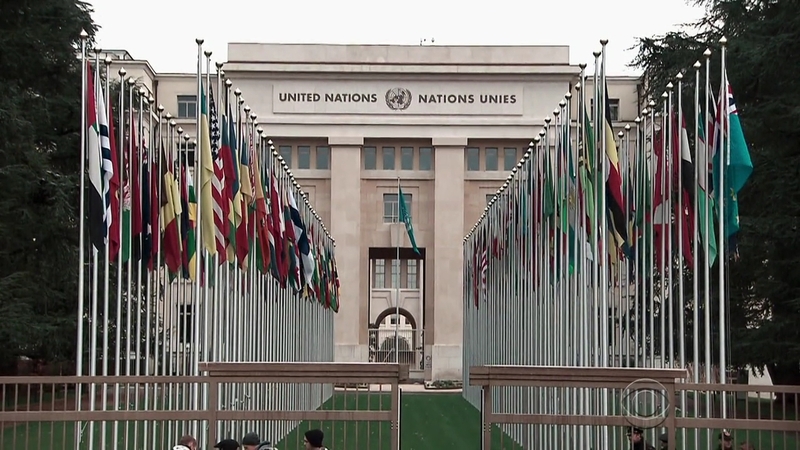 For this Road Block, teams must identify the flags of ten founding members of the United Nations which are highlighted on a flag map. Korey, Kurt, Burnie and Cole start the Road Block. Kurt and Burnie want them all to work together. None of them can figure out how to find the flags. But when Korey realizes the answer is right there, he only tells Matt. 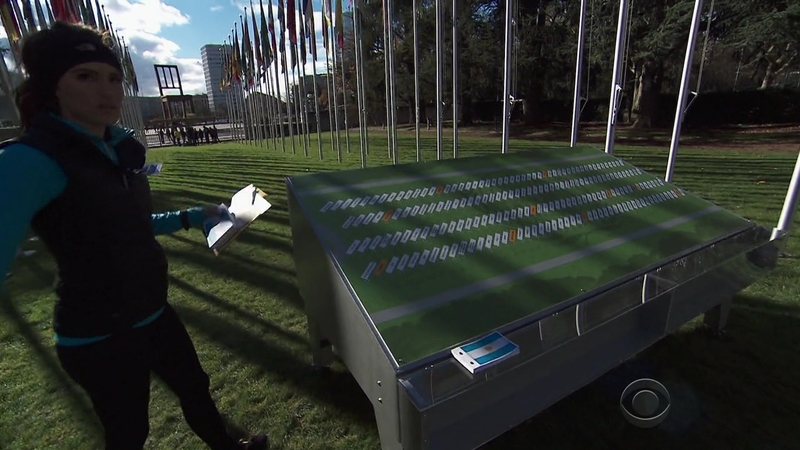 Rachel arrives and starts the Road Block as Korey quickly gets the hang of finding the flags. The three guys finally figure it out after just trying to guess together while Rachel figures it out on her own. Korey gives his flags a try, but he has one wrong. That gives Burnie a chance to get into first with his correct flags. He checks Kurt’s before reuniting with Ashley. Teams must now take a train to Chamonix, France. Brodie & Kurt and Sheri & Cole are right behind. Blair and Joslyn start the Road Block and decide to work together while also checking their stuff out with Rachel. Jessica arrives and starts the Road Block and sees everyone working together. She asks for help, but no one wants to give her anything. Everyone else is now comparing flags, except for Jessica. And all the teams leave, except for Brittany & Jessica. Jessica fights through tears as she counts the flag poles. She gets the correct flags and they try to catch up. 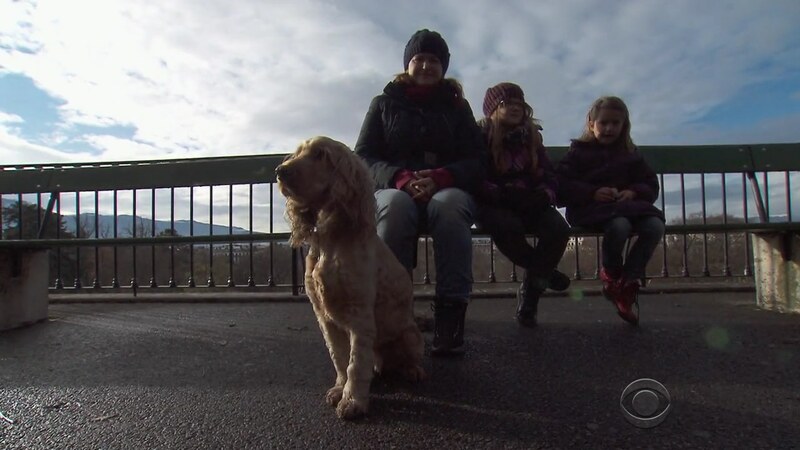 The first train carrying Brodie & Kurt, Burnie & Ashley and Sheri & Cole arrive in the connecting station of Martigny. 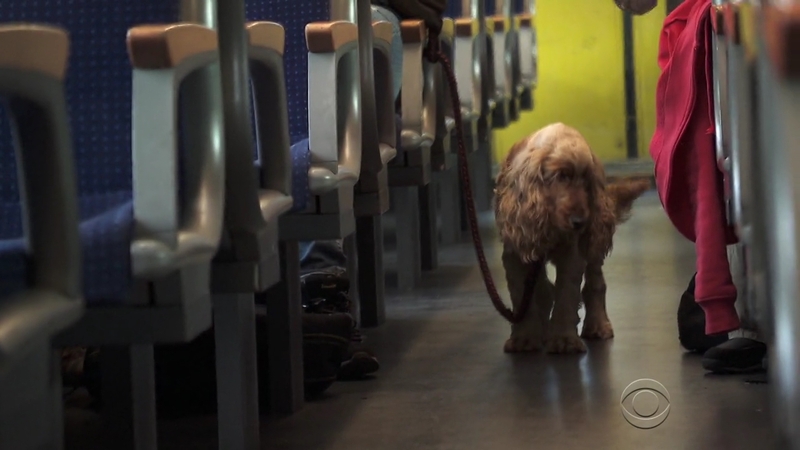 They hop onto the next train and find they have to transfer one more time in Vallorcine. 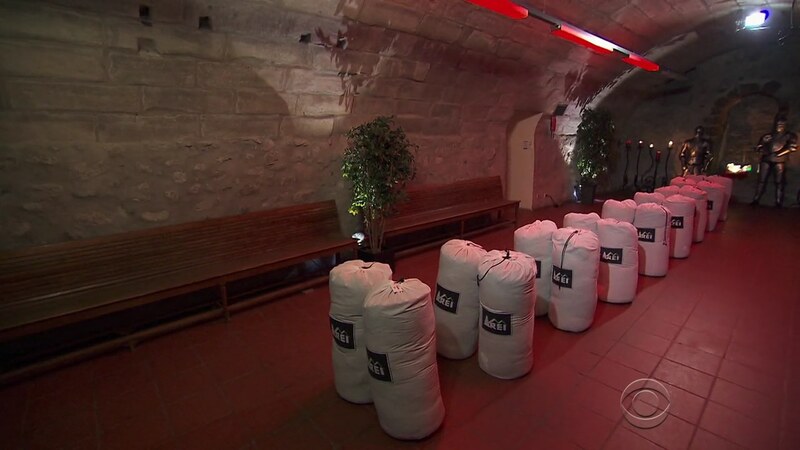 The second train arrives in Martigny and they get on the next train. It is about to leave, but they see Brittany & Jessica just arriving. The models have to change platforms and are led to believe they just missed the train. Meanwhile, the second group manages to catch the first group in Vallorcine, so all eight teams get on the same train to Chamonix. Once in Chamonix, all teams run to the square. In order: Brodie & Kurt, Tyler & Korey, Dana & Matt, Burnie & Ashley, Zach & Rachel, Erin & Joslyn, Sheri & Cole and Scott & Blair. Brodie & Kurt win $3000 each. Brittany & Jessica step on the Mat in last and no, this is not a Non-Elimination Leg. They are indeed eliminated. Well then. This episode just got progressively worse by the minute. Let’s get to the good parts of this Leg first. FINALLY! All teams on the same flight. But then again, it was out of logistical necessity flying from South America to Europe. 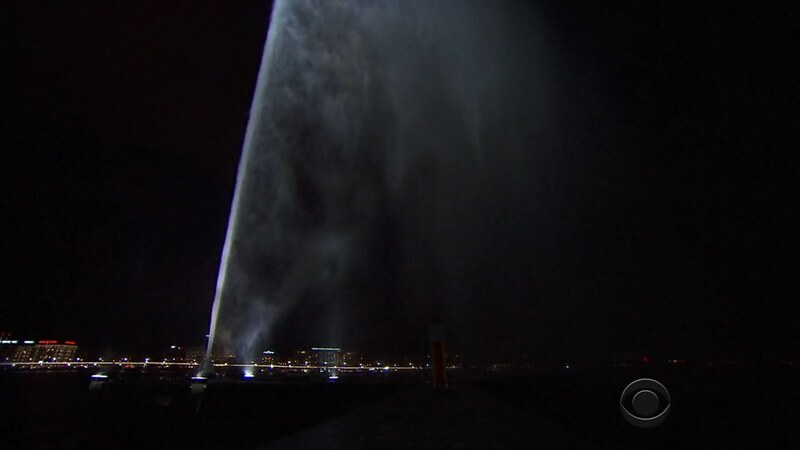 It was fun seeing the Jet d’Eau on TAR again. Having seen TAR3 like a hundred times already, I still remember Flo asking someone where it was and her saying “Oh, it’s in Genebra?” Fun times. But anyway, what else was good this episode? I think nothing. So let’s get criticizing! Start of the episode, Brodie & Kurt saying they haven’t seen Scott & Blair since Leg 1. No no no. That’s Amazing Race Philippines 2 crap. When teams don’t even see each other for more than one Leg, you know there’s major Leg design problems. Little did I know there’d be more Leg design mess and TARPH2 influence later in the episode. The Detour was another unbalanced choice. The Swiss Army Knife was obviously more time consuming again while the park bench was pretty simple. Not even the interrupted locals made that side of the Detour any fun. In fact, I don’t think those locals were even planted by the show. They were actually locals being disturbed by rude teams. Then you got teams thinking they were TARPH2 teams giving each other the answer. Yeah, that’s really fun to watch right? With the Road Block, it was pretty obvious that the diagram/grid was a map of the flags. So teams who decided to just guess, I don’t even know. It’s not even a tricky clue. There was no trickery involved. It might have been one of the simplest Road Blocks ever. And what made it worse was it was another task that basically encouraged teams to not only work together (which is fine if they actually work together), but it encouraged teams to just give the answers. Again. Second time in a row in the same Leg. What is this? Active TV doing European Legs now? And to cap it all off, traveling hours to another country for the Pit Stop. And it wasn’t even a Non-Elimination Leg! What in the world? Poor Leg Design at its worst. This was TAR1 amateur-level “We don’t know what we’re doing yet!” stuff. It’s not like they needed teams to train it to France because of time and logistics, since they always release teams any time they want and could have easily sent them off for the next Leg from Geneva. You can’t even enjoy the bum rush to the Mat because of more poor editing and the idea that they just took at least 3 hours to go from the last Route Marker to the Mat. Just horrible. This might have been the worst Leg of TAR in the HD Era. It was almost as absurd as the horrific opening credits. Bringing up All-Stars (TAR24 All-Stars, not TAR11) was very fitting at the end because for as horrible as TAR24 is, none of the Legs were this horrible. The bunching up at the Mat was also different since it was an actual footrace between Brenchel and Margie & Luke with everyone else trickling in. Strangely enough, that was more exciting than this was. Plus the teams are quickly devolving into some TAR24 horridness if this keeps up. Can we have Marty & Hagan and Darius & Cameron back please? I don’t even know where to rank these teams this Leg because I didn’t even enjoy any of them in addition to them doing some big TAR no-nos. First of all I feel for Jessica & Brittany. None of the other teams were obligated to help them of course. And they messed up by passing the Victorinox store and getting lost on the way to the benches. But the rest of the Leg gave them no opportunity to catch up. They already lost at that second Route Marker. Jessica gets kudos for fighting on. But they are prime examples of why helping other teams or worse, giving out answers, will not help you in the long run. It was just last Leg when Jessica decided to stay with Cole even though she was done with her Road Block. And now where did that get her? Eliminated. I have Dana & Matt at the top, but they’re not necessarily my favorite team. I liked that they still did (were forced to do) the Detour after being told the answer. Zach & Rachel were pretty good this Leg though. Rachel, if we are to believe the editing, figured out the flags on her own. So that deserves kudos. Scott & Blair weren’t as fun this Leg and that was mainly because of all that #Blodie nonsense. Erin & Joslyn are another team that got bogged down by this horrible Leg. And Erin’s quote at the end of the episode was just horrible. Same with Sheri & Cole. Pretty helpless all Leg. Tyler & Korey have been running a good Race, helped a lot by the horrible Leg designs. But like last Leg, they ruin any goodwill from their nice moments with over the top playing to the camera. Korey figuring out the Road Block first deserves kudos. And finally Kurt & Brodie and Burnie & Ashley. I can’t tolerate any TARPH2-style shenanigans. And with Burnie, his little quips have fallen flat since Leg 1. So with that, they’re solidly in last for this Leg’s ranks. The actual plants on the Bench Work detour were the chess players. Dana confirmed on Facebook (despite the array of ad hominem comments from hateful ” purist fans” toward the cast over there) that TAR intentionally put people there to throw them off from guessing the number correctly within the acceptable range. Since Bertram and Co. ONLY listen to casual fans, maybe they’ll wake up and realize the few TAR fans left don’t want gimmicks. I think it depends on a lot of factors. Much of the complaints are not exactly even game-related. Rather, they have become rather personal, stemming from the lack of information and just general assumption so-called “purist fans” have on the cast. They accuse th teams of being attention whores when none of them aren’t even. Masyado silang na-traumatize siguro kina Joey and Meghan that they forgot that Michael and Kevin existed. What we see in this cast is what we’ve always see from every other cast in past seasons, anyway. What only make TAR28 teams stand out is that they have something in common, similar to the last three All-Stars seasons (veteran teams), and TAR8 (families). But they couldn’t be any more different. And I disagree that die-hards share the same opinion against the teams as the “casuals”. We may agree on cetain flaws but we don’t resort to go personal against any person in the internet. Lucky for Flo to have been spared this much cyberbullying when she and Zach won TAR3. And about the die-hards and casuals, it’s not so much about the personal attacks (Casuals are just the worst), but more on the fact that the majority of TAR fans just groan at the gimmick. Many times the long-time, dedicated fans have one opinion while the casuals have a complete opposite opinion which is what Bertram and Co. listen to instead of considering the opinions of fans that actually know the show and have followed for so long. I agree though about Flo. Just take the casual reaction to Rachel and multiply by 10 if social media existed back then. Personally, I really don’t mind the gimmicks if it can yield strong performing teams as it did with the stranger teams from TAR26 recently. I’m fairly certain TAR would revisit such a concept one of these days.